We just returned from a quick business trip to Seattle. Despite the unfortunate weather, we had a great time perusing fabulous stores and looking at fabrics. Today we are back in the studio and getting organized for our week. 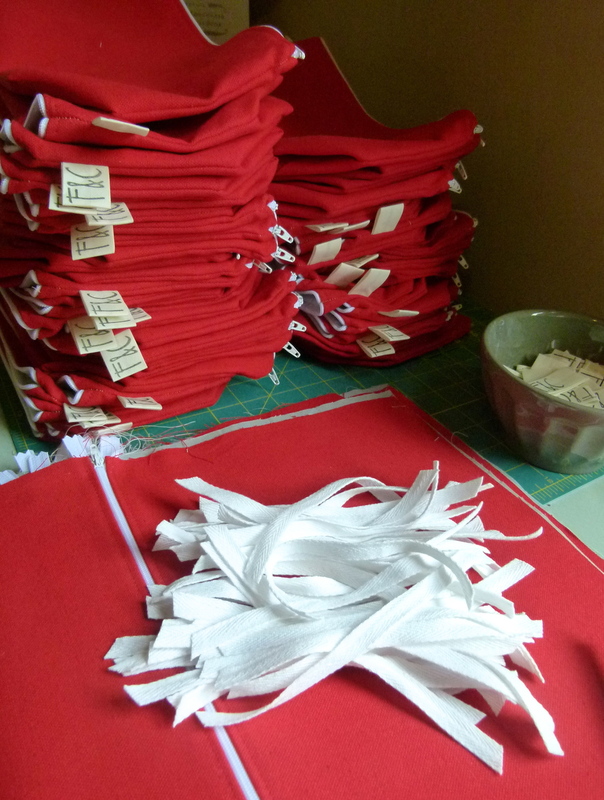 We finished up a big custom project...lovely ruby red canvas bags. Here are some process pics.